Missouri River. Serving as the boundary where glaciers once met the Ozarks, the tall grass prairies from the north transition into the rugged forest hills or the south and this greatly influenced the wildlife of the area. Today, the Missouri River Hills still support an interesting mosaic of prairie, forests, woodlands, glades and streams. A drive along Highway 94 provides terrific views of dramatically rolling hills and impressive limestone cliffs rising above the Missouri River floodplain. The Missouri River Hills is home to 18 or more species of amphibians, including three species of conservation concern: Ringed salamanders, Wood frogs and Four-toed salamanders. The area also provides important habitat for a large number of songbirds, including both forest interior and early successional species. The landscape is home to Missouri’s best if not the only remaining population of ruffed grouse. Unusual plants include false mermaid, false yellow mallow, prairie dandelion and the endanger ed running buffalo clover. 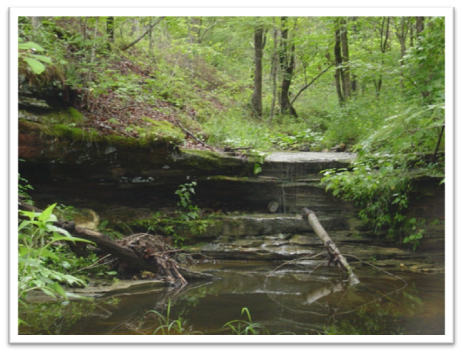 The Lost Creek watershed is considered a priority watershed due to its high quality stream and the fish, mussels and crayfish that live there. 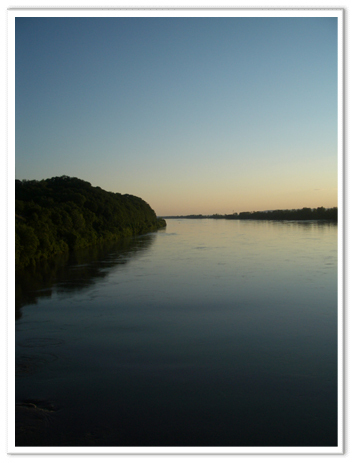 The Loutre River and lower Missouri River watersheds are highly valuable because they are a critical source of drinking water for the St. Louis metro area. The area is geologically interesting, as an unusual band of St. Peters Sandstone meanders through the river hills. Impressive waterfalls, chutes, cliffs, canyons and glades can be found along many of the creeks throughout the Missouri River Hills where the sandstone exposes itself. Most wetlands have been drained for agricultural or development purposes. Some have been restored, and there are a few that were never drained. There are few, remaining wetlands found in the MO River Hills COA.